This image positions the viewer to look down the streetcar tracks that down the grassy divider that separates the lanes of Main Street. 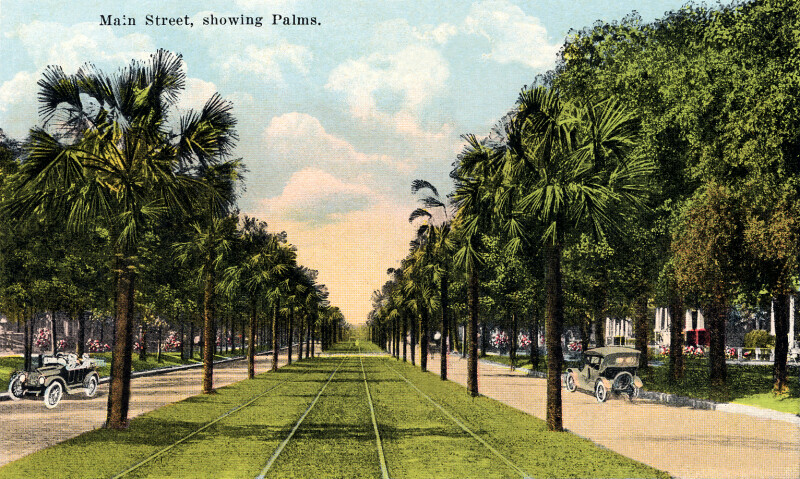 Palm trees line the street, along the divider. The outer edges of the lanes are lined with deciduous trees. To the left, an automobile is traveling toward the viewer; and, to the right, an automobile is traveling away from the viewer.